From the longtime CEO and chairman of Starbucks, a book about new responsibilities that leaders, businesses, and citizens share in American society today—as viewed through the lens of one man’s life and work. From the Ground Up weaves two narratives. 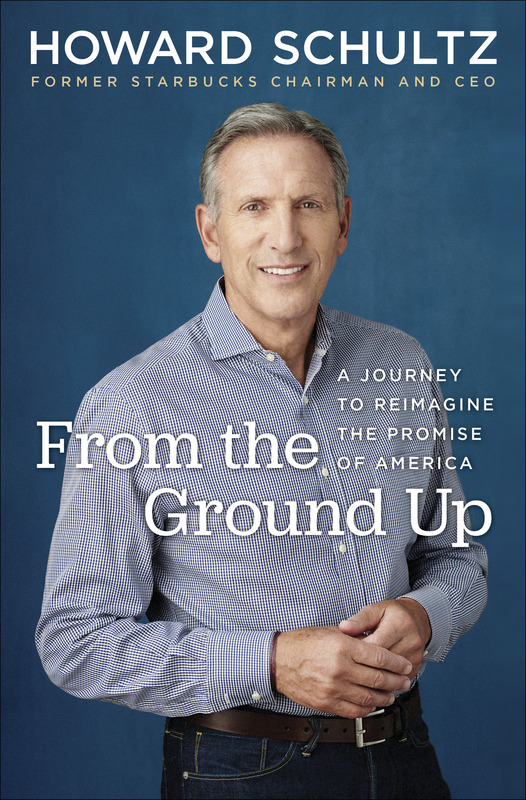 One story shows how Schultz’s conflicted boyhood motivated him to become the first in his family to graduate college, then to build the kind of company his father, a working-class laborer, never had a chance to work for: a business that tries to balance profit and human dignity. A parallel story offers a behind-the-scenes look at Schultz’s efforts to challenge old notions about the role of business in society. From the Ground Up is part candid memoir and part uplifting blueprint of mutual responsibility. At its heart, it’s an inspiring account of what happens when we stand up, speak out, and come together for purposes bigger than ourselves. 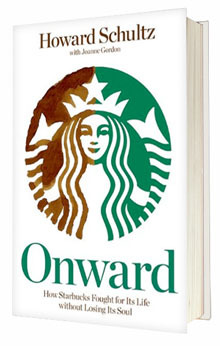 For more information, please visit starbucks.com/onward. Winners Dream is a leadership memoir that follows Bill’s career trajectory from the small Long Island deli he owned as a teenager to his years as a top salesman for Xerox in Manhattan to his current role as CEO of the world’s largest business software company, SAP. Told in Bill’s unique voice, Winners Dream is laced with insights for building a career as well as a business. The “uplifting and enjoyable memoir” (Publisher’s Weekly) became an award-winning national bestseller. In Be Happy at Work, Joanne profiled 100 diverse women—from executives to celebrities, artists to engineers—who found happiness in the workplace. Both prescriptive and inspirational, Be Happy At Work helps women craft their own happy working lives by profiling those who already have. Booklist called Be Happy “absolutely inspiring,” and the Library Journal described it as “fantastic—highly recommended.” In addition to a six-city book tour, Joanne and the book were featured in USA Today, The New York Times, Glamour, The Boston Globe and the Chicago Tribune, among others. After meeting business and creativity consultant Kevin Carroll, Joanne worked with him to turn his dynamic life story and business philosophy into this whimsical pocket-sized book that Newsweek called “an adult’s version of Dr. Seuss’s Oh, The Places You’ll Go!” Kevin originally self-published the book, and its success prompted ESPN Books to acquire the rights. Kevin continues to speak to audiences around the world and share his ideas as well as his book. Joanne’s first book resulted from an article she wrote for Forbes about two entrepreneurial college grads traveling the country interviewing fascinating people to figure out what to do with their own lives, and help their peers do the same. Together, Mike, Nathan and Joanne turned more than 30 interviews that the pair conducted on their cross-country trip into an informative, widely hailed career guide. The book combined first-person interviews with a hands-on guide to informational interviewing in a conversational, approachable style. Roadtrip Nation evolved into a successful company, a film documentary and ongoing series on PBS, airing nationwide.